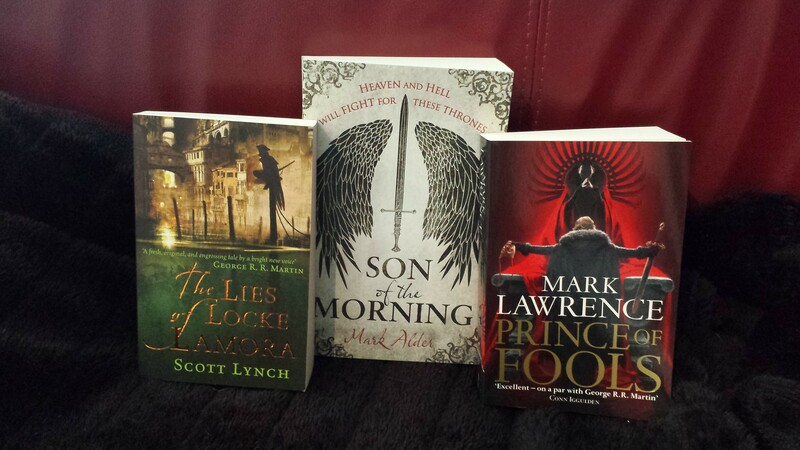 I purchased these three books from my local Book Warehouse shop today. I like to support my local businesses, keep money and jobs local, do the right thing. But after handing over $76.97 I wondered was it worth it? Is there a point where propping up the locals is just too expensive? Those who know me are aware that I am a tragic Bibliophile. That my books are precious and that I cannot even entertain the idea of reading any other way than holding an actual book in my hands. If I am asked to read an authors book for review I read it off my PC as a PDF file. But Kindle and other flat-screened doohickies are a personal “no-no”. I have ordered books from online outlets many a time, but only as a last result; checking that the book was not available in Australia, or couldn’t be ordered in by my book shop. This is unfortunately becoming more common. An example is John Gwynne’s latest book Valour, available since July in the UK, not here till October or November. So I did some online detective work and here are the results. All figures calculated using current monetary conversion rates. The three books all seem to be published in England, so I checked out a well known book published in America, Brent Weeks book The Blinding Knife. £8.09 in England, $17.00 in America and $33.00 in Australia. Paper back copy. 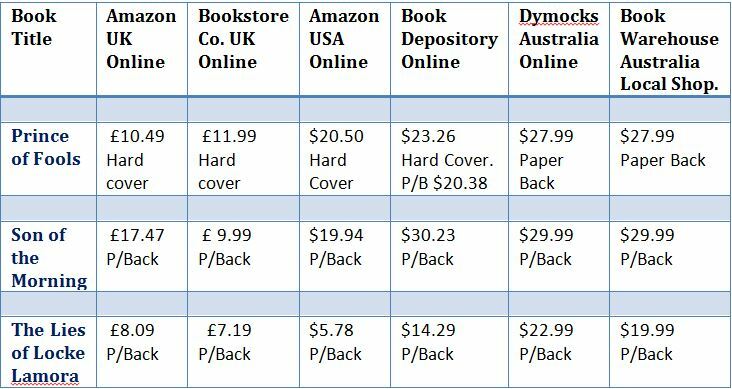 If I purchased these three books online from England it would cost me a total of $123.52 including P&H, plus two weeks delivery. If I purchased these three books online from America it would cost me $114.17 including P&H again up to two weeks delivery. So, where possible, I will continue to buy locally despite the heavy taxes. Or perhaps I will return to the land of my ancestors …..
By Leanne Ellis, the Bloody Cake News resident Aussie.